What It Meant To Be Madhubala At That Time! Arguably the most beautiful actress to ever grace the Indian screen, Madhubala rose from a humble background to become the most captivating star India has ever seen. Madhubala, originally Mumtaz Jehan Begum Dehlavi born on Valentine’s Day, February 14, 1933 - died February 23, 1969, was and still is one of the most celebrated female Bollywood stars during the 50s and ’60s. Today, Google dedicated its Doodle to the iconic actress of Bollywood, Madhubala marking what would’ve been her 86th birthday. Google commented: "While her breathtaking appearance earned comparisons to Venus, Madhubala was a gifted actor with an understated style well suited for comedies, dramas, and romantic roles alike. 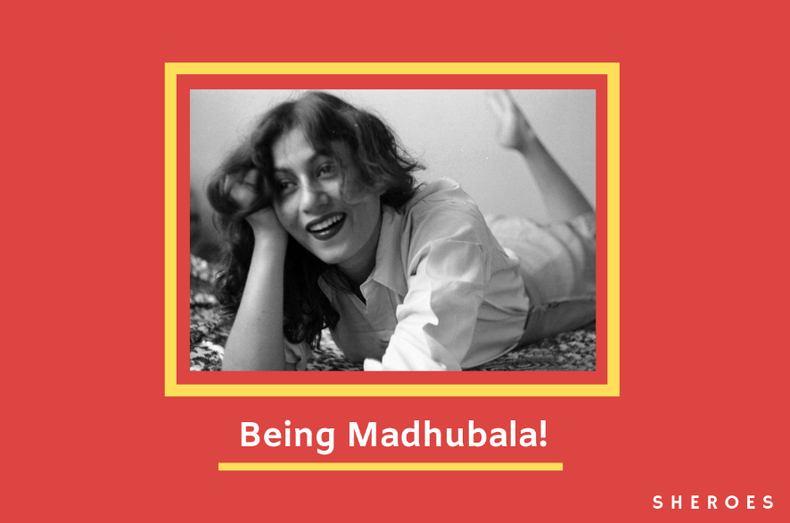 Appearing in over 70 films over the course of a tragically brief career, Madhubala—who would have turned 86 today—was called “The Biggest Star in the World” in 1952 by Theatre Arts Magazine. Known as 'The Marilyn Monroe of Bollywood', Madhubala is a millennial favourite. Her Marilyn Monroe like looks and mysterious Mona Lisa like smile has been gathering a huge fan following over years. Apart from her obvious accomplishments, what speaks out to people is the struggles that made her. Madhubala was born in a poor, conservative family of Pathan Muslims in Delhi in a household with sisters. The family endured many hardships. Madhubala's three sisters and two brothers died at the ages of five and six. The dock explosion and fire of 14 April 1944 wiped out their small home. The family survived only because they had gone to see a film at a local theatre. With five sisters remaining, Madhubala began paying frequent visits to Bobby film studios with her father. Mumtaz was still a little child when her impoverished family moved to a slum in Bombay that was close to the Bombay Talkies film studio. She entered the world of films at the very young age of eight. Billed as Baby Mumtaz for her roles in Basant and Dhanna Bhagat, this marked the beginning of Madhubala’s entry into the Indian cinema. After five years of playing child roles in Bollywood movies, Madhubala got her first break in 1947, a lead role in the movie Neel Kamal with actor Raj Kapoor. Madhubala had finally arrived on the Indian screen. Her fame took off from there on. The talented actress caught the attention of co-founder of the studio-Devika Rani, who suggested that she call herself Madhubala. She acted in many films every year, becoming her family’s primary source of income, she worked hard to support her parents and four sisters. Loved and lost and found again! After Madhubala starred with Dilip Kumar in 1951 in the romance movie Tarana, the pair were linked romantically. They starred together again in the movie Sangdil. After starting together in 1960 classic Mughal-E-Azam, She famously fell in love with actor Dilip Kumar. Her role as Anarkali and the chemistry with Dilip Kumar is still remembered and appreciated all across the country. Madhubala’s romance with Dilip Kumar ended and she instead married the famous comic actor and singer Kishore Kumar, at the age of 27 in 1960. Madhubala met Kishore Kumar during the shooting of Dhake Ki Malmal. When Madhubala was ill in the late 1950s with the congenital heart disease, Kishore Kumar proposed to her and she decided to marry him after realizing that Dilip Kumar was not going to marry her. Although, Kishore Kumar’s family’s acceptance of Madhubala is questioned by some. In the mid-1950s it was found that Madhubala was afflicted with a ventricular septal defect, a congenital heart condition for which there was then no treatment back then. Despite her continued hits, acting for Madhubala became increasingly difficult. When acting was no longer an option, she turned to movie direction. The beautiful actress started to struggle more and more by the day as her health had begun to noticeably deteriorate. She was confined to bed for nine years and was reduced to just bones and skin. Despite her popularity, she spent her final years in seclusion before dying shortly after her 36th birthday. Although 48 years have elapsed since she passed, Madhubala reigns as the poster queen of Bollywood. She is fondly remembered by many. Nationally and internationally. Every year on her birthday many articles are published in magazines and online. With over 25 fan pages on Facebook and many on Instagram, even the youth seems to be enchanted by her. News bulletins and music shows dedicated entirely to celebrating her is how she’s remembered every year on Valentine’s Day, year after year. Her posters are still very much in demand. Every decade, the cinema produces many successful actresses but Madhubala has remained a constant when it comes to her spot in people’s hearts. In 2008, as a tribute to her India post issued a limited edition postage stamp featuring her. In 2017, the New Delhi centre of Madame Tussauds unveiled a statue of Madhubala, as the famous courtesan Anarkali. A lady, well known for her elegance on screen and considerable acting abilities, Madhubala has a legacy that remains. 22, Dentist, passionate yogi who loves dogs and beaches. Beautiful read on a beautiful woman. What Did Emojis Want? Equal Representation. And, Now They Have It!